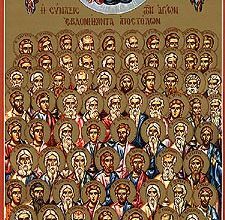 The lives of the saints are important to Orthodox Christians throughout the world. As a result of this, their feast days are celebrated each year. 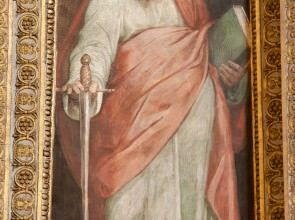 When someone is named after one of these saints, they celebrate their name day on the saint’s feast day. In some countries, such as Greece, people often celebrate their name days instead of their birthdays! Saint Irene was originally born in Persia in a city called Magedon sometime in the 4th Century A.D, but the exact date of her birth and death is unknown. Her father, Licinius, was a pagan king and she was raised to have that belief system. Her parents named her Penelope and her Christian name, Irene (which means peace in Greek) was given to her after she became a Christian. 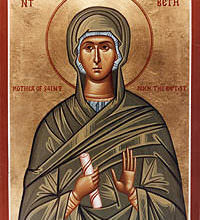 Saint Irene was eventually martyred and was still a virgin when it happened. 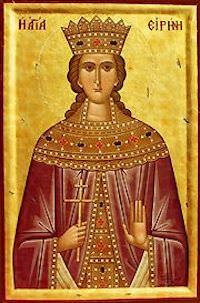 Later on in church history, Saint Irene and eleven other virgin martyrs appeared to Saint Seraphim of Sarov in 1831. Saint Irene was considered to be very beautiful. Her father wanted to protect her so he isolated her from other people by placing her in a very high tower. This was in part to shield her from unwanted attention based on her beauty, but the king also wanted to prevent her from getting exposed to Christianity. However, this wasn’t enough. She learned about Christianity from her tutor, Apellian, and eventually became a Christian herself. She received the name of Irene after her baptism, which occurred after she refused someone’s hand in marriage. During her time as a Christian, she walked through the city and performed many miracles. She also preached about Christ and led thousands of people to become Christians. She was arrested and beheaded around 330 A.D. Being fair adorned before with pure and virginal beauty, thou becamest fairer still in thy brave contest, O virgin; for when thou, in thine own spilt blood, wast stained and reddened, O Irene, thou overthrewest ungodly error. Hence, thou hast received the prizes of thy good vict’ry from thy Creator’s right hand. 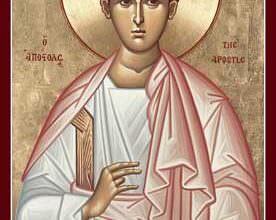 Saint Demetrius’s name day is on May 5th of each year. Check the Name Day page for more information about other Orthodox Christian name days.